Home Where can I recycle my polystyrene packaging? 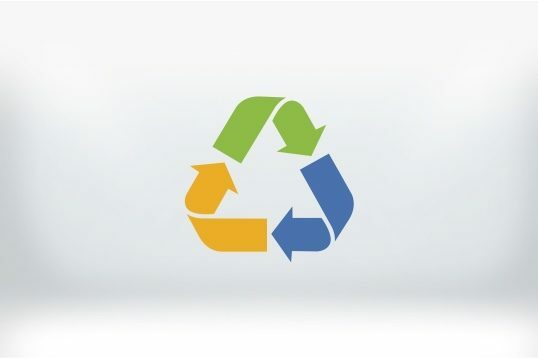 At Molygran, we believe polystyrene conversion includes the responsibility to educate about the importance of recycling and to continue to expand knowledge of how and where to recycle polystyrene. Read more about our Environmental Promise here. The UK has a plastic packaging recycling target of 57% by 2020, yet only one-third of the recyclable plastic waste used by consumers in Britain in 2015 was recycled, according to the figures compiled by Co-op from the Recoup UK Household Plastics Collection survey. The UK has been striving towards improving sustainability and encouraging everyone to do their bit to help. Recycling centres, kerbside collections and much more support this. Nearly all plastic can be recycled, depending on the level of impurities included in its collection ( e.g. a plastic bottle is much harder to recycle if it has a paper label attached). 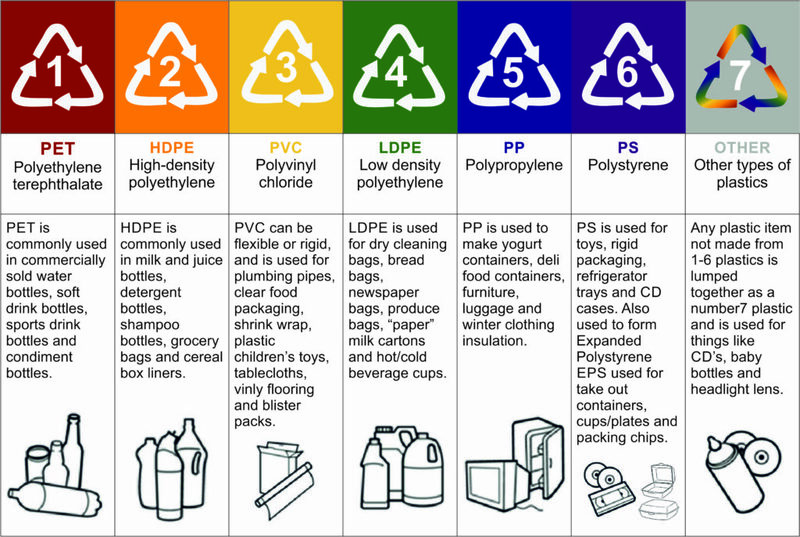 The table below indicates the main types of plastic in the UK. The 2017 recycling guidelines exclude expanded polystyrene (EPS). We think that is a shame. EPS is a fantastic product for packaging, it’s lightweight yet robust and can be shaped to protect almost any product. Throwing away your EPS packaging into your normal bin upsets us, not only does it take up valuable space in your bins, there is no need for it because EXPANDED POLYSTYRENE IS 100% RECYCLABLE!!! EPS is extremely slow to biodegrade, ranging between 500 – 100,000 years! Even in this case, it tends to break down rather than degrade. Sending expanded polystyrene to landfill is sending it there for a lifetime when in reality there is a much more sustainable answer. Despite misconceptions, the percentage of EPS that is recycled is steadily increasing year on year. This is primarily in the commercial stages of the supply chain – before it gets to the end consumer. Growth in post-consumer recycling remains relatively slow. Here at Molygran, we are committed to being a sustainable business. We convert polystyrene into a vast array of products, from packaging inserts, building and construction products and display products for TV and theatre sets. We buy large blocks of polystyrene and convert them into whatever shape or size our customers require. During this process, we generate waste EPS – all of which is recycled. We are proud to be able to state that 100% of the EPS we buy is either used as a finished product or goes to recycling, but we think we can also do more to encourage recycling of finished products after our customers have used them. Approximately 50% of Molygran’s finished products are converted into polystyrene packaging. EPS packaging comes in all shapes and sizes; from simple sheets to pad out within additional packaging such as cardboard boxes, to complex bespoke packaging to fit around any item. Where possible we use offcuts from bigger projects to make the smaller packaging pieces. The more efficient utilisation of the material we take in makes good sense both economically and environmentally. Some of the products we make have no possibility of recycling after use. Void formers within civil engineering projects are designed to be dissolved and cannot be reused. Other products are built into structures (e.g. roof profile insulation) and remain there for the life of the building, others are glued to other materials (e.g. cardboard) and cannot be separated for recycling. Where possible we help our customers to dispose of any surplus EPS products by taking back any clean/unused material and recycling it. This is still pre-consumer recycling and unfortunately, we cannot currently offer a disposal service to the general public because we do not hold a license to take in waste products. This is something we are currently investigating and we will publish our findings in due course. We think that the main reason that EPS recycling rates are relatively low compared with other plastics is that the infrastructure for its collection does not exist for most domestic consumers as prices for compacted waste polystyrene was relatively low. Over the past two years, however, these prices are increasing, in some case 6 fold, and the business case steadily improves. The BPF Expanded Polystyrene Group (www.eps.co.uk) has 29 EPS Recyclers details available on their website, along with 6 EPS Recycling Points across the UK. These are listed below and we would urge you to do your bit to dispose of your EPS waste in these locations if this is a possibility for you. Most consumers are not fortunate enough to live close to one of these facilities. We believe that EPS recycling rates will not be substantially improved until EPS is recognised by local authorities as a recyclable material and included in kerbside collections. We are canvassing our local council to make this change as a part of the drive to reduce plastic waste in Manchester. Any messages of support for this initiative that you leave will be collated and passed on to the council.